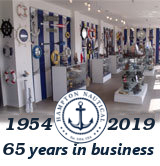 The Hampton Nautical Ships Time Clock can accent any wall and give it a subtle nautical theme. 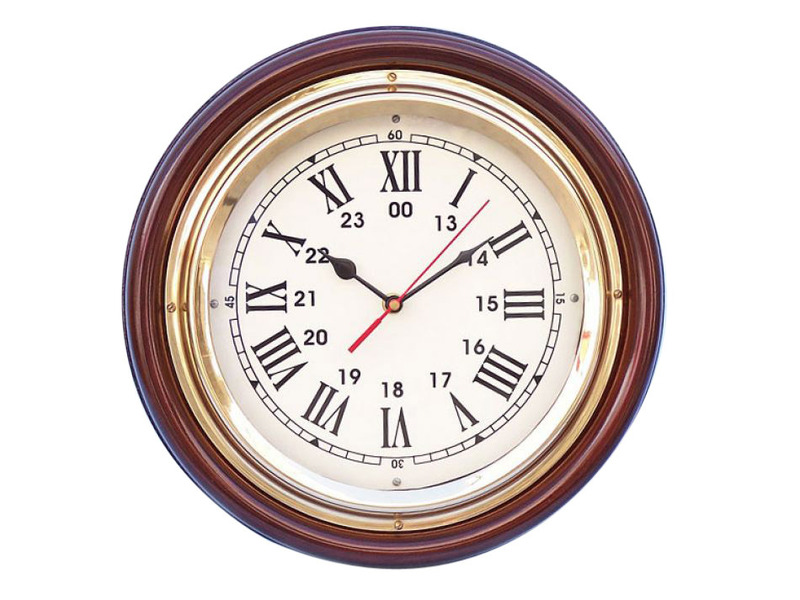 This solid brass rosewood clock features a brass trim and fully functional clock. The clock features Roman numerals for each hour and also the military digit equivalent. The clock is embedded inside a brass finish and protected by a glass cover to protect from damage. This clock requires AA batteries to operate (not included).